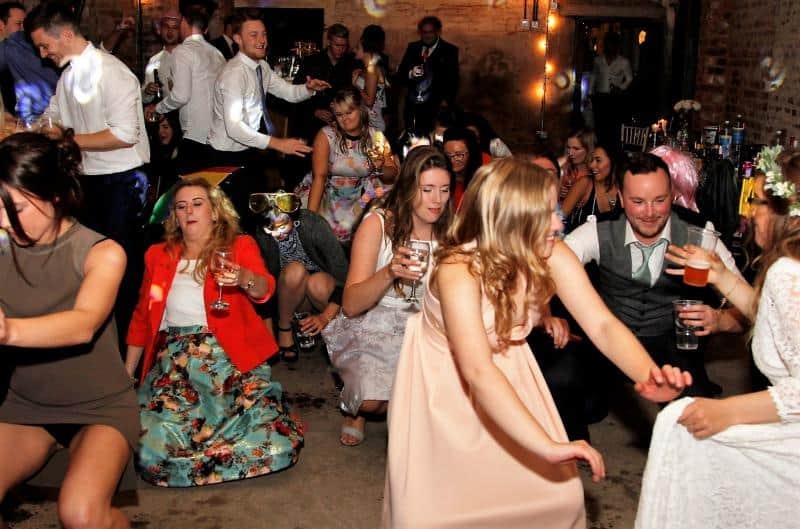 The Cowshed in Codsall is a wedding venue with a difference. 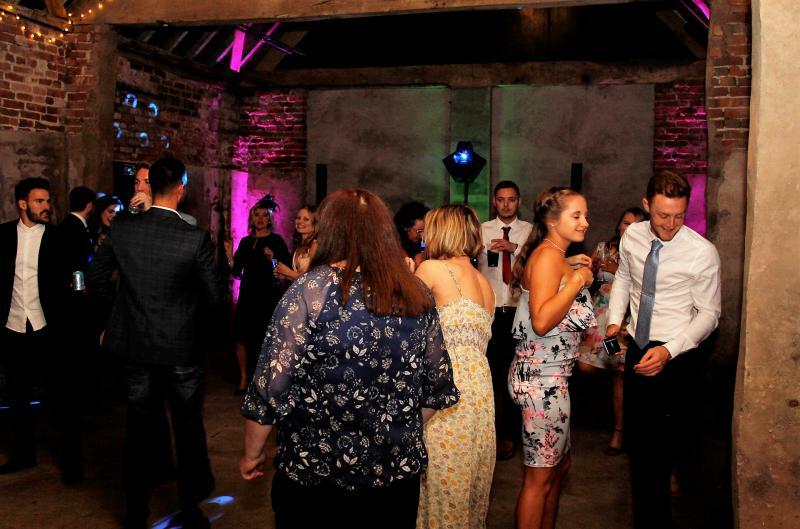 The Cowshed in Codsall wood is a venue where you can provide DIY wedding. A beautiful Cowshed at Woodhall Farm which was beautifully renovated in 2015 and it is in a peaceful part of the Staffordshire countryside. 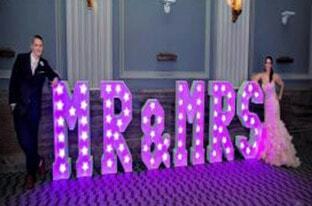 It is perfect as a blank canvas to organise your personality and to set to your wedding the way you want it. 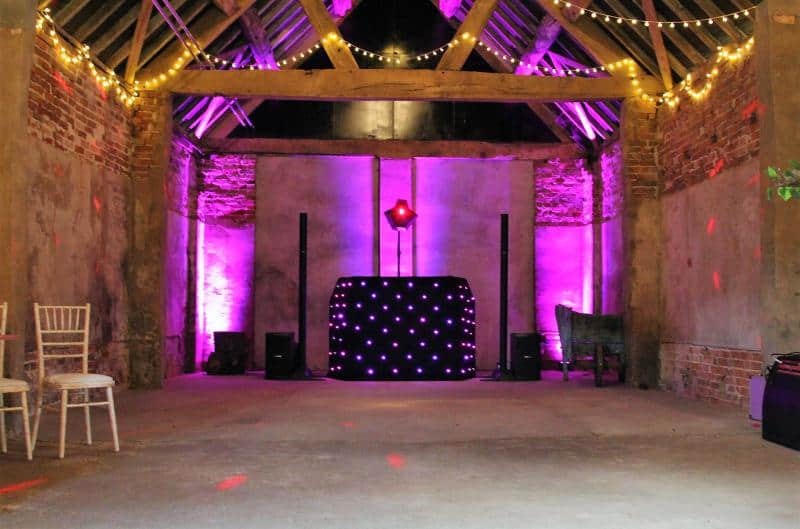 The main building at this venue would be able to seat 120 guests with a separate building for your guest to have a good old dance with a Dj or a live band. Music can if required, play till 12.30am and they do not charge to corkage for your drinks. The venue is yours for four days which is great for a diy party or wedding. Kenndel and Daniel were from Cheshire, but most of their family and friends was from the Wolverhampton area. 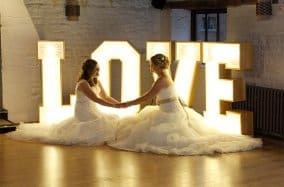 They did their homework with suppliers and thought we were ideal to provide their entertainment for their big day in sept 2017. 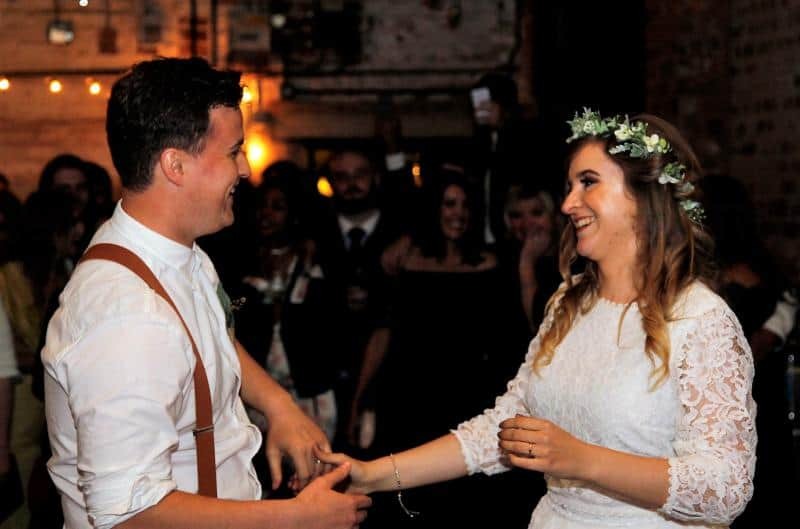 Mr and Mrs Boulton (bride and groom) booked our package 2 with an early set up as they required background music while they were eating their wedding breakfast. Their requirements were. 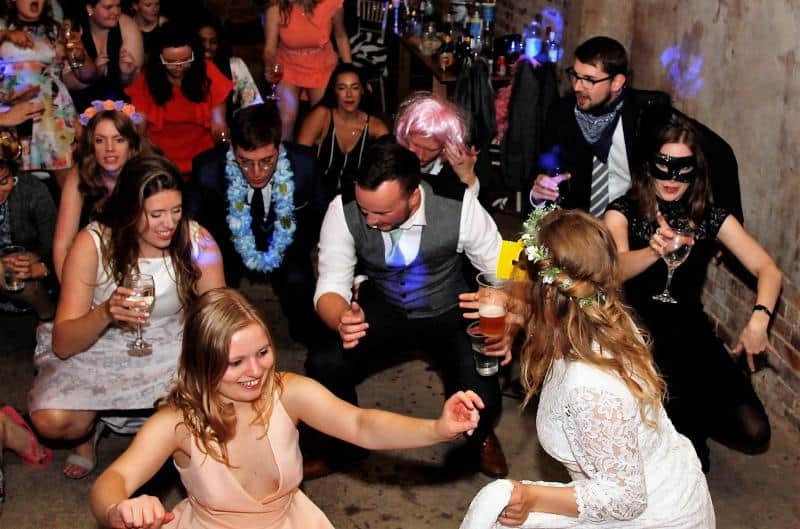 Their music requests included Cheese, party, indie, up to date and they loved the 80s boy and girl band songs and artists.This was one of the best parties over the wedding season because it was different and the guest was up for a really good time. What an amazing wedding and no rain which was a bonus. We finished at midnight and thanked by the bridal party and their friends.